Members at this year's aggregate AGM, condemned the Tory led Westminster government's failed austerity measures which threaten to dismantle the public services we all rely on. Members backed the branch in campaigning for decent pay, for a living wage for those in services contracted by the council, for a living rent and affordable housing for all, and for measures to combat austerity and to tackle the growing inequality in our country which "is not just bad for the poorest and most vulnerable, but is bad for the economy too." Members also called on the Scottish Government to end the council tax freeze which has cost more than £2.5 billion and benefits the better off the most. The AGM was held across two meetings, the first in Woodhill House over lunchtime and the second in the evening in the Kintore Arms, Inverurie. 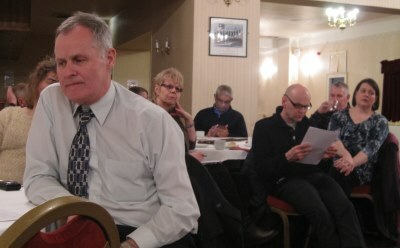 Guest speaker, Dave Watson, Head of UNISON Scotland's Bargaining and Campaigns, told members about the new Local Government Pensions Scheme and what the changes will mean for members. He explained that although the new scheme is career average, because there is a beter accrual rate, most members will be better off, and it is very good news for women and lower paid members. Click here to see Dave's full presentation. UNISON will now have places on the boards of pension funds. "This will give us an opportunity to influence pension funds to work for the members and stop the siphoning off of our members' and councils' money to so-called fund managers," said Dave. It will also allow us to influence investment policy and advoicate for ethical investments. Our own James Mulholland will be a UNISON representative on the North East of Scotland pension fund. Treasurer Ann Gray presented the branch accounts which were approved by the AGM. The surplus has reduced but Ann explained that this is mostly down to the secondment of Susan Kennedy, as Assistant Branch Secretary, a secondment which has been to the great benefit of the Branch as a whole. The branch recorded its thanks to Ann for all the work she does in her own time, and unanimously approved the payment of an honorarium to her. Inez Teece, Branch Secretary told the AGMs that Local Government is taking a battering from governments both at Westminster and Holyrood. "We have seen funding for local government slashed in recent years and it looks as if this will be a trend into the future," she warned. "All too often we believe the rhetoric fed to us that there is no other option than cuts. But as ambassadors for public services we know the value of what we do. There is no aspect of anybody's life that council services don't touch. "Without us bins would go unemptied, restaurants would be run without food hygiene certificates, our old, young and vulnerable would be without a voice and care, and teachers would have to cope on their own, without the classroom support that is so valued. "Roads would be unrepaired, houses could be thrown up anywhere. Do I need to say more? "Aberdeenshire UNISON will continue to do our best for our members but we need you to work with us, because, at the end of the day, you are the union." 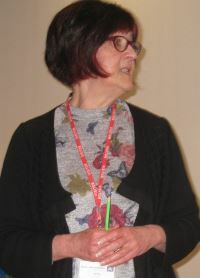 Branch Chair, Kate Ramsden, echoed this when she called on members, "to not just vote for these motions but to go out and spread the word that austerity is a political choice that condemns our children to grow up in poverty and leaves the rest of us struggling to make ends meet, while the richest 1000 double their wealth. This is bad for us, bad for public services and very, very bad for the economy." All members are invited to attend the Annual General Meeting of the Aberdeenshire Branch of UNISON on 18th February 2015. There are 2 venues and times to enable you to attend. Firstly 12-2pm at Committee Room 4, Woodhill House, and later from 7-9 p.m. at the Kintore Arms, Inverurie. The Agenda and other papers are below. Whether we work for Aberdeenshire Council, a related employer or the voluntary sector, we have all had the challenge of change. Terms and Conditions, Pay, Pensions and the impact of Service Reviews have been the major issues we have faced. The key component for defending all these issues is membership participation, so we would urge you to attend the AGM and hear what UNISON is doing locally and nationally and be part of our decision making process. Dave Watson, UNISON Scottish Organiser and Head of Bargaining and Campaigns will be at both AGMs to talk about our new pension scheme, and other local and Scottish issues. The AGM is your chance to have your say on the issues of the moment and gives you a chance to raise issues or discuss concerns with Branch Officers. A buffet will be available at both venues and members of the Branch Committee will be on hand to answer any questions or just to chat. The Annual Report on the work of the branch. Questions and discussion will follow. All Branch members are invited to attend the 2015 Branch AGM. The AGM will be held on Wed 18th Feb, 6.30 for 7pm, at the Kintore Arms, High Street, Inverurie. A buffet and refreshments will be available from 6.30pm. 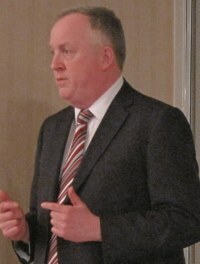 The AGM is the branch's supreme policy making forum. It will elect the Branch Officers and stewards for 2015, set policy on important issues affecting all members and can amend rules. The preliminary notice was sent out on 25th November, to allow members time to consider and put forward nominations and motions and to meet deadlines for the agenda which will be sent out no later than Friday 30th Jan 2015. But don't let the talk of motions and deadlines put you off. This is your chance to raise anything you would like the branch to be doing, provided that it is within UNISON rules. 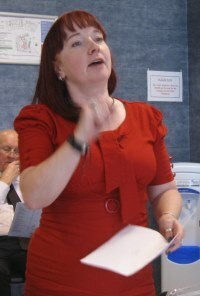 If you would like to raise an issue but don't know how to write a motion, get in touch with Kate Ramsden, Branch Chair. You can email her or contact her via the Branch Resource Centre on 01224 620624 and she will help you to find the right way to do it. 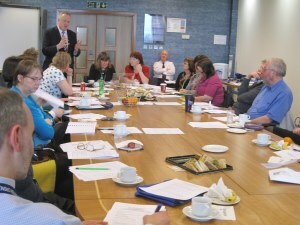 Equality agenda, budget, future of Local Government, pay and pensions remain concerns for many of you. The AGM is your chance to have a say on our future direction. Come along and find out more about how UNISON is campaigning to protect public services and members jobs, and get involved! Nominations are invited for stewards and branch officer posts. Any nominations should be on the forms below and should be returned to Inez Teece, Branch Secretary at UNISON Freepost (AB048), 7 Alford Place, Aberdeen AB10 1ZQ no later than Wed 28th Jan 2015. PLEASE NOTE THAT EXISTING STEWARDS WHO WISH TO CONTINUE IN POST MUST ALSO COMPLETE AND RETURN A FORM. Any member can submit a motion or let us know of any other business for consideration at the AGM. Motions need to be signed by two members and sent to Inez Teece, Branch Secretary at UNISON Freepost (AB048), 7 Alford Place, Aberdeen AB10 1ZQ no later than Wed 28th Jan 2015. Click here to see last year's motions. Nominations for branch officer and steward posts, must be submitted on appropriate forms to the branch office by Wed 28th Jan 2015. The AGM Agenda with the nominations, motions and any rule changes received by the closing date will be mailed out from Friday 30th Jan 2015.